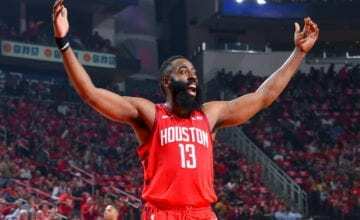 Donald Trump separating children from their parents while LeBron James puts them through school has a lot of people questioning if the two men are in the right jobs. 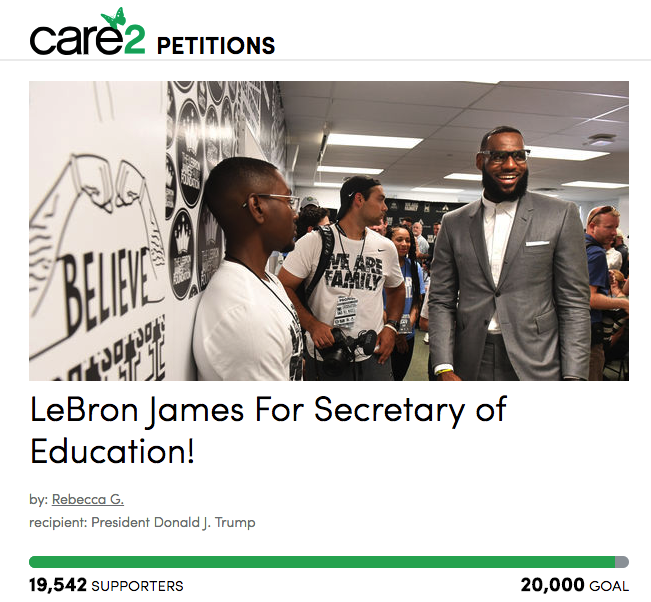 The stark contrast between Trump and James has drawn so much attention, in fact, that some legend has started a petition to make LeBron the Secretary of Education, attracting close to 20,000 signatures in the blink of eye. And it’s growing rapidly, increasing by more than 600 signatures just in the time it took to write this article. 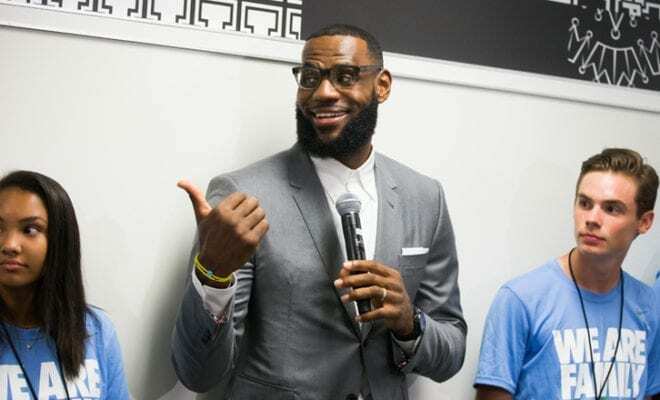 The petition includes a scathing criticism of incumbent Secretary of Education, Betsy Devos, while hailing LeBron for his extensive body of work within the community, including the opening of his ‘I Promise School’ in Akron, Ohio. “LeBron James is an inspiration to kids all over the country,” the petition reads. “He’s shown he cares about America’s youth and understands the power of public education in helping children meet their true potential. 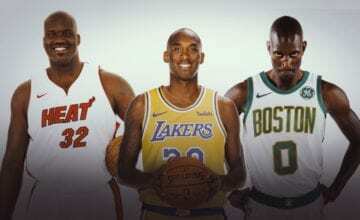 LeBron’s school opened on July 30 and is home to 240 at-risk kids.